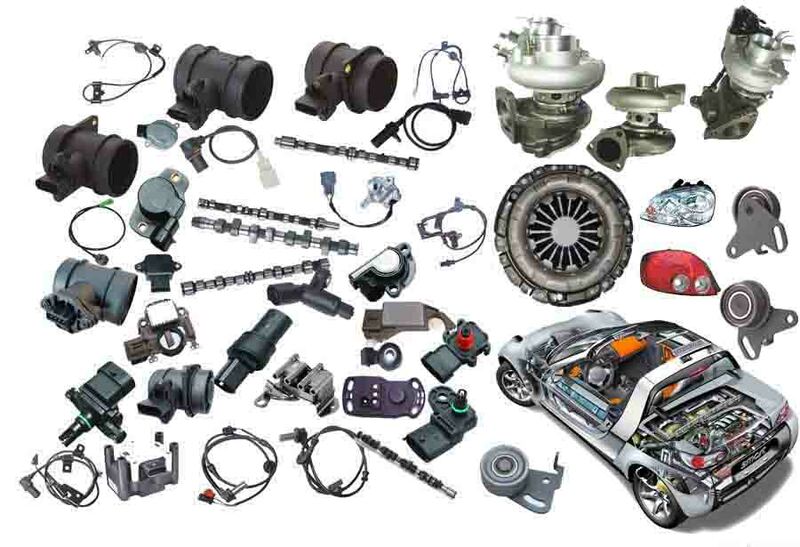 Car parts Replacement Cost: Now a days personal automobile is became a necessity for many people around the world. When increase in sell of new car day by day shows their growing market globally. But, every vehicle have their certain limitations and maintenance. Also, New car have a car part replacement calendar. We are see car parts replacement schedule and at what time those car parts are need to replace? Car parts replacement interval is important factors in the performance of your automobile or car machine. Many online car replacement parts store have their ready Calendar available. But, some time it is going to difficult for newbie. So, here i am try to create easy guide of Car parts Replacement Schedule. Common Car Parts Replace Cost Comparison with Schedule. This is an easy to understand car parts replacement guide. You are find at what time and which part of car need to change or replace or service. Most Replaced Car Parts list below. Every 3 to 6 months, or every 8,000 to 10,000 KM. Every year or two (less in hot climates if a vehicle sits outside and is exposed to sunlight and high ambient temperatures). Every 3 or 4 years, or 30,000 to 50,000 KM. Filter life can be much less if a vehicle is driven on dusty gravel roads. Every three to five years, or 30,000 to 70,000 Km. Replacement frequency can vary greatly depending on the type of vehicle (larger, heavier vehicles wear out their brake pads more quickly than smaller vehicles). The type of original equipment brake linings (semi-metallic and ceramic linings usually last much longer than non-asbestos organic linings), the type of driving you do (stop-and-go city driving increases pad wear dramatically), and your driving style. Every four to five years (Km doesn’t matter). Less in really hot climates (maybe only three years). Headlights and/or taillight bulbs – Five to seven years, depends on how much nighttime driving you do. Driving on rough, bumpty roads can also shorten the life of conventional bulbs with filaments (no effect on Xenon bulbs which do not have a filament inside, or LED taillights). Every five to seven years, depending on number of Km driven annually, the type of driving you do, and the wear rating on the tires (a higher wear rating number means the tire should last longer). Hard cornering and aggressive driving can increase tire wear dramatically. So can wheel misalignment. Platinum and iridium plugs should normally last 100,000 KM, or about 8 years if you drive 12,000 Km/year. Spark plugs may have to be replaced sooner if short trip driving causes them to foul, or your engine is burning oil due to worn rings or valve guide seals. The serpentine belt should last 75,000 Km or about six years, and the timing belt (if your engine has one) should last 100,000 Km or about 8 years. Typically last 100,000 Km or more, but eventually succumb to internal corrosion and deterioration of the rubber seals. Need to be replaced is leaking or sticking. Often replaced at second brake job (seldom necessary at first brake job). May last the life of your vehicle, or it may fail after 5 or 6 years of driving. The alternator keeps the battery charged, and supplies voltage for your vehicle’s electrical system. High demand applications typically shorten alternator life. Alternators are a frequently replaced item, and also a frequently misdiagnosed car part. Charging problems can often result from poor electrical connections (battery cables or alternator wiring harness). An alternator should always be tested BEFORE it is replaced to determine if it is good or bad. Know more about Honda Activa CNG kits for 2 Wheelers Price and Mileage Details. May last the life of your vehicle, or it may fail after 5 or 6 years of driving. The fuel pump runs constantly, and can be damage by rust or dirt inside the fuel tank. Running the fuel tank dry or driving with a very low fuel level inside the tank may starve the pump for lubrication, causing it to fail. Fuel pumps are also a frequently replaced item, and also a frequently misdiagnosed car part. Fuel delivery problems are often caused by plugged fuel filters, bad fuel pressure regulators, or wiring or electrical problems. May last the life of your vehicle, or it may fail after 6 to 8 years of driving. The shaft seal inside the water pump wears, and eventually starts to leak. The loss of coolant will cause your engine to overheat. You may never have to replace a fuse on your vehicle, but fuses are a frequently replaced item because of electrical problems. Fuses protect againt current overloads, so if a fuse has failed the circuit or component that the fuse protects may have a short or overload. Replacement fuses MUST be the SAME AMP RATING as the original fuse. Never substitute a fuse with a higher amp rating as this may increase the risk of a car fire! Most sensors should last upwards of 150,000 KM, but accumulated time and mileage can cause some sensors to fail much sooner. A bad sensor will usually turn on the Check Engine Light and set a fault code. Oxygen sensors on late model cars should usually last upwards of 100,000 KM, but may be fouled at any mileage by coolant leaks or an engine that is burning oil. Throttle position sensors can develop worn spots causing erratic readings. Crankshaft Position Sensors can develop internal cracks or shorts from exposure to engine heat that affect their output. Same for coolant sensors. Mass airflow sensors may become contaminated with dirt or fuel varnish. Most late model original equipment mufflers are stainless steel, and will typically last 10 years or 100,000 KM (or more) depending on environmental exposure to road salt and moisture. The shocks and struts on many vehicles are NEVER replaced during the life of the vehicle. But after 50,000 to 75,000 KM of driving, many shocks and struts are getting noticeably soft. Replacing these parts is often recommended to restore like-new ride and handling. Shocks and struts may also be replaced at any time to upgrade performance handling. Varies greatly with how the vehicle is driven, but normally should last up to 100,000 KM with normal driving. Towing, aggressive driving and poor driving habits (such as “riding the clutch”) can drastically shorten the life of this component. Should last the life of your vehicle, but may fail at any point from 70,000 KM on. Towing, aggressive driving or anything that causes the transmission to run hotter than normal can shorten its life and lead to failure. Know more about Super Cars. Hyundai Tucson Price in India 2016 Launch Specification, Interior Details. Honda Civic Type R Price Specs Features Look with Video Ad.